Babies are in the Oven! 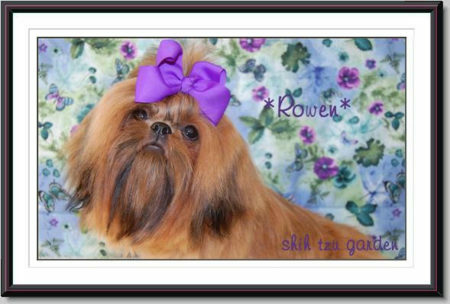 Rowen and Redmond are pregnant for puppies due approx. mid April. We are hoping for solids and parti’s in reds and golds. Estimate size will be in the 9-12 lb range. This is a first time pairing for these two so we may also get a surprise…so fun! 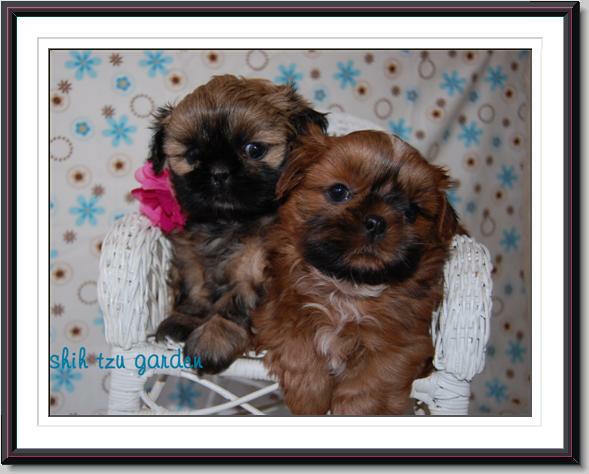 Contact us if interested to get on our priority wait list now for gorgeous future litters. Babies may be in the Oven! 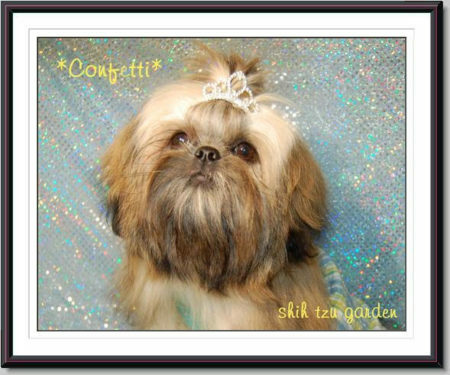 Confetti & Redmond were honeymooning for puppies due the beginning of May. We are hoping for solids and parti’s in chocolate, red, and gold if pregnancy is confirmed. Estimate size will be in the 8-12 lb range. This is a first time pairing for these two so we may also get another surprise! 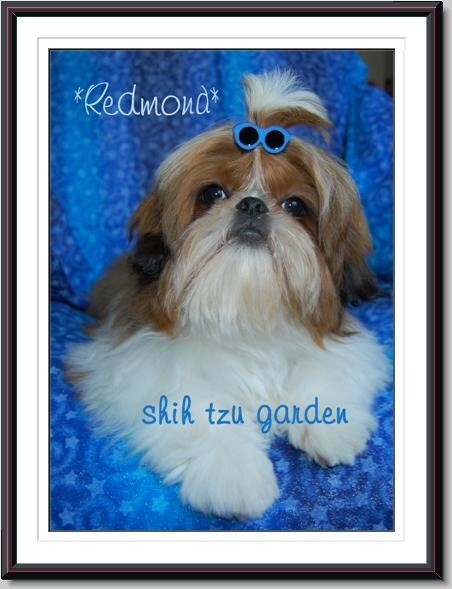 Special Shih Tzu Garden Exquisite Angel! Most of our babies are adopted from past happy families, referrals, and the Priority list. These approved people receive the first photos of the litter and get to choose before the pups are available for others to adopt. Unlike some other breeders, at NO cost, it it is a good place to be! 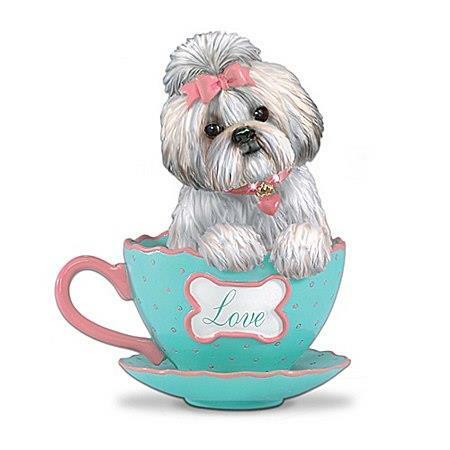 We do love to spend our time devoted to serious inquiries please and will require you complete a puppy questionnaire to get on this no cost-no obligation list. We really want you to be happy with your experience, try to match you with the best choice and would also like to know what kind of loving home you can offer our precious babies. Thank you for understanding as our babies future is of utmost importance to us as well as you having a wonderful experience! Ask if you qualify for the military discount! Breeder reserves the right to first pick of any litter. We are selectively adding to better our program to higher levels of excellence.